Pennsylvania— Today immigrant and refugee families wake up to a President-Elect who has publicly declared their contempt for immigrant and refugee communities. Last night’s election results are a sad reminder that we still have a long way to go to realize the promise of the American Dream. Our communities are now faced with the very real possibility that legislators will unite around policies that will target and criminalize people based solely on religion and country of origin. PICC and our member organizations will not sit by and let local, state, or federal elected officials push forward anti-immigrant and anti-refugee policies. Whether it is an attempt to build a wall or ban refugees or overturn hard-won local policies, we will stand together against racism and xenophobia, and fight for the vision of America we believe in: inclusive, welcoming, and diverse. This year PICC led a statewide effort to register New Americans to vote, and ensure that they were able to make it to the polls on Tuesday. Collectively, members of the Immigrant Voter Project registered over 5,000 new voters, and called over 10,500 New American voters about the election. Now we will build on that momentum to ensure that immigrant and refugee communities have a powerful voice at the local, state and national level. 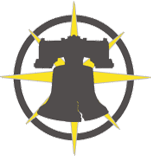 The Pennsylvania Immigration and Citizenship Coalition (PICC) is a diverse coalition of 50 member organizations and hundreds of individual members. Our membership includes grassroots community groups, service providers, unions, advocacy organizations, faith communities, immigrants and concerned individuals. Our mission is to advance immigrants’ rights and promote immigrants’ full integration into society by advocating with a unified voice for greater public understanding and welcoming public policies throughout Pennsylvania.